But do incorporate them into your athleisure wardrobe. 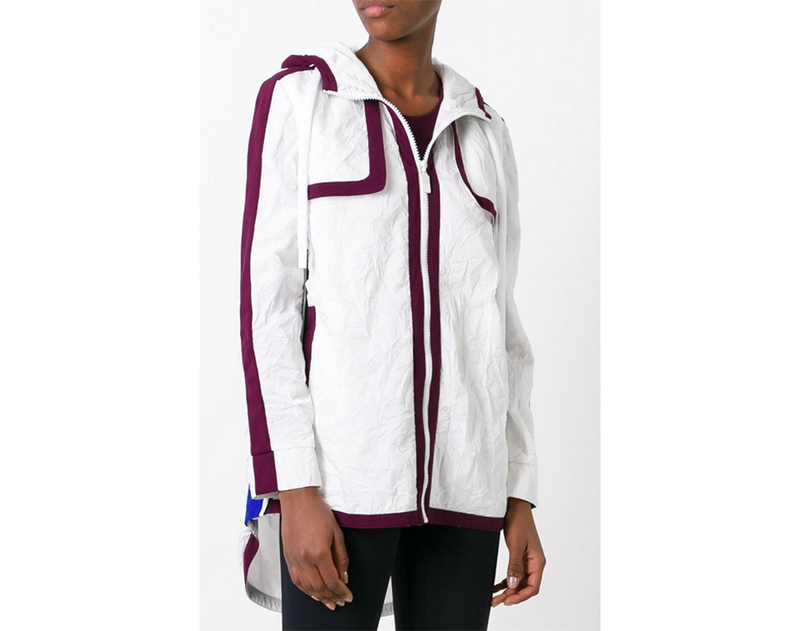 With its loose fit and hood, the runningjacket is one of the trendiest silhouettes in activewear. It's a trans-seasonal piece that marries fashion with function. 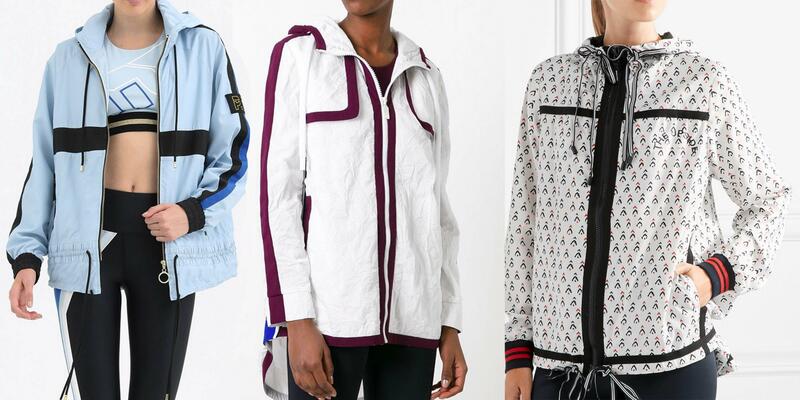 Some brands, though, are capitalizing on the style component and designing versions that aren't actually meant to be worn on a run. 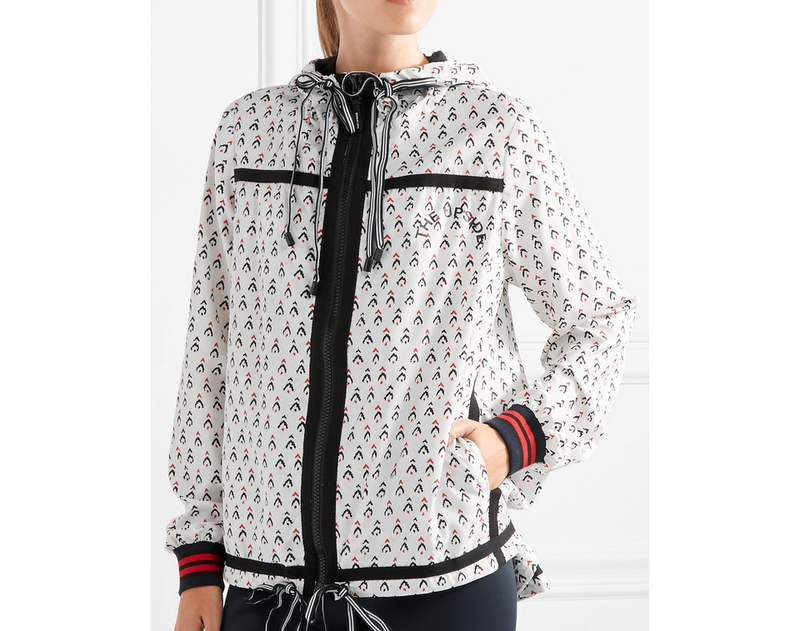 Crafted from a lightweight fabric, this over-sized coat features stylish detailing such as gold hardware and colorblock stripes down the arms. Tighten the draw cords for a sporty, runner vibe or keep the zipper open for a relaxed, everyday look. Made from a lightweight, quick-drying shell, this printed zip-up with stylish striped ribbed cuffs will help you stand out on your way to the gym. Wear it with a pair of simple black sneakers or neutral-colored rain boots. The loose silhouette with a slit in the back makes this garment a fashion-friendly option for busy days around town or going to and from the gym. Add simple white sneakers with monocolored leggings and a sporty top to maintain a minimalistic, yet chic look.